E8 is a single active output intelligent node. The node is based on a fixed receiver and upstream transmitter. The output amplifier stage uses high performance GaN amplifier, making the usable output level range especially wide. 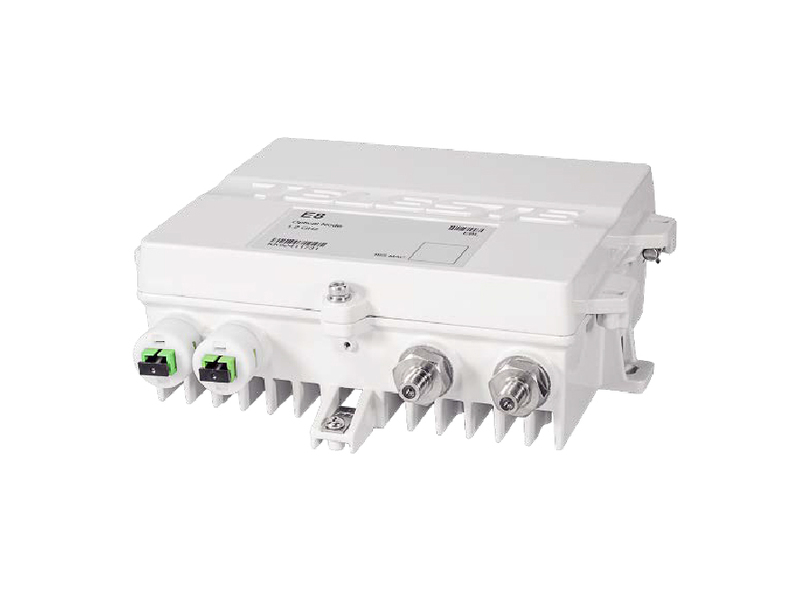 DOCSIS 3.1 and OFDM requirements have been taken in account in this product. The downstream frequency band reach es 1.2 GHz which ensures fulfilment of all future bandwidth needs. The upstream signal path is flexible and it can be updated to 204 MHz.